Disclosure: The author of this review received a sample of the product from the brand or its representative in exchange for a review. The RōM Pack is a convertible backpack that can unfold into a poncho or a blanket....but ultimately it is this idea that is the reason the product fails. This isn't something that solves a need and even if it did, the execution was poor. It looks a bit funny when you wear it with the backpack straps and the flaps. I was laughed at by my family. As a blanket…it is great. It is warm, large enough, and water resistant. Overall, the concept doesn't seem practical. If I'm hiking and I expect rain, I'd pack a raincoat or a lightweight poncho to wear over my regular clothes. I'd dress for the weather. I'd never need a fleece lined poncho. I likely wouldn't need a blanket either...and if I did I could roll up a blanket and put it in a regular backpack. Thanks for sharing your thoughts on this pack, Jimmy. This pack seems to work better as a “tailgating” pack rather than a camping pack. It is overall big and bulky. It transitions pretty smoothly after a few times but originally it was a little awkward. A 3-in-1 system, the RōM Pack is a backpack you can fully transform into either a wearable poncho with a hood or a blanket that’s soft on one side and water resistant on the other. I received this product and I brought it on a campout when I planned to “cowboy camp” and then I broke one of the clips on the pack. I contacted customer service and they sent my a new clip to fix it right away—even though I told them I was the reason it broke—It was not the fault of the pack. For Customer Service, they get 5 stars for sure. The pack worked great on this outing. It is a bit heavy and rather bulky to carry on a hike, however, I knew the conversion technique on this pack would come in handy while sleeping under the stars. I was correct. The poncho/blanket is heavy and warm and kept all the dew off of me in the morning. The pack has an inner pack that is great for holding gear and can be used all on its own. I used this to cowboy camp on a weekend campout. The blanket was warm and the poncho kept the dew off my body. Thanks for sharing your experience with this pack, Pwells. The RoM Pack delivers in durability and diversity. The RoM Pack delivers in durability and diversity. If you're looking for a twist on a daypack, the RoM Pack is hard to beat. This 3-in-1 combo offers a pack for storage, a warm, fleece lined blanket, and rain repellent poncho in one. While its design is unique, it's somewhat bulky and slightly heavier than any of the daypacks I've used. I had the opportunity to review the RoM Pack. The RoM pack offers a durable daypack that transforms into a fleece lined blanket and water resistant poncho. This pack also includes a drawstring stuff sack as an added bonus. 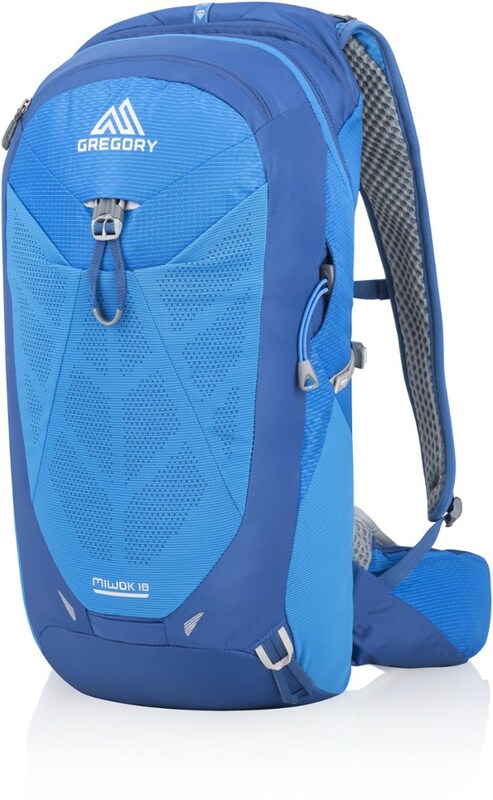 The pack weighs in around 4.6 pounds, slightly heavier than most daypacks I've worn hiking, but could be worn on a shorter hikes without much extra effort. The straps are adjustable and fairly well-padded. However, I am shorter, 5'2", so this pack tends to be a somewhat bulky fit for my frame. I will use it though to store gear for camping and hiking trips especially given the outer, rain repellent material. With two detachable saddle bags, the pack breaks down easily to transform into the blanket and poncho. Reassembly is quite easy as well. It comes with a step by step booklet demonstrating the how-tos. The booklet also includes identification information on poison ivy, oak, and sumac identification as well as fire-building tips. 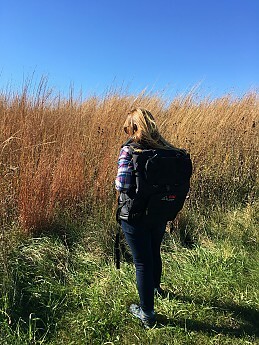 I used the daypack to store gear for an outdoor women's retreat and the saddle bags to store water and food on shorter hikes. I utilized the blanket for breaks in between sessions during the retreat. I also brought the pack along on a day trip to a national wildlife refuge to store extra clothing and snacks. While I won't likely use this pack on future day hikes, I will definitely use it to stow gear and will utilize the blanket on chilly nights around the campfire. RoM Pack is a very versatile, well made, day adventure pack. Transforms into a blanket or poncho for your exploration needs. This is my go-to bag for sporting events and day trips with my grandkids. I received the RoM Pack to review while out adventuring. I like this pack as a day use, event oriented carry all. It is excellent for excursions to the park or sporting events and has plenty of space to attach necessities. I used it for a 4.5-mile hike and it was comfortable to carry even without the waist and chest straps. When you dismantle the pack to make it into a poncho or blanket the main pocket is gone. So I put my hydration pack in there so I could carry it on my back if I needed the poncho. The two front bags detach and can be placed in the inner pack which has string shoulder straps. This would not be comfortable for any distance if it’s heavy. 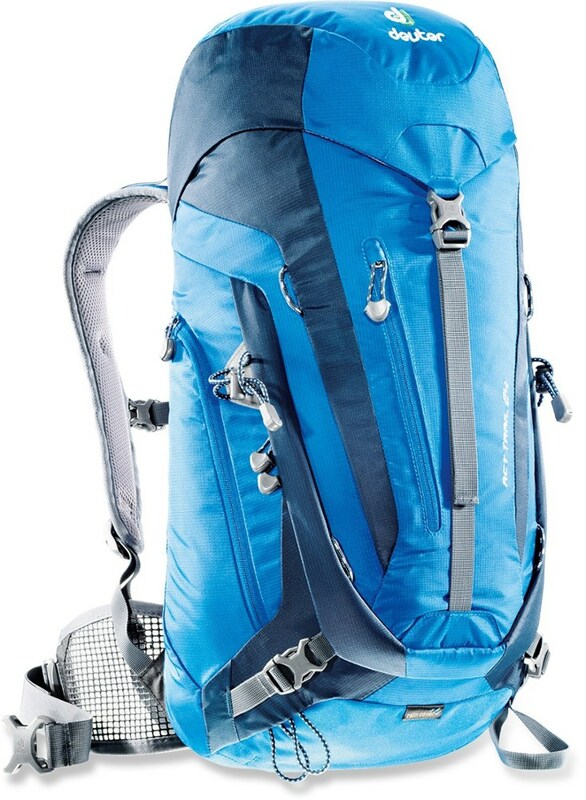 The loss of the main pocket and the inner packs string shoulder straps would be two reasons I would not use this pack as an overnight backpacking pack. I don’t hunt, but I think that hunters would like the versatility of this pack. In addition this will be my go-to pack for adventures with my grandkids. 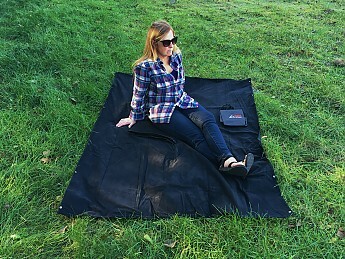 The ability to fold it out into a blanket is awesome for sitting on the beach with them or in the grass at the park. I will suggest this pack to friends. A backpack that has a few specific applications and performs very well for those situations. Perfect for picnic adventures or a backup car poncho/blanket. The pack is very comfortable and quick to take apart and put back together. I received a sample of this product from the brand or its representatives in exchange for a review. Included with a backpack was a small drawstring bag that is designed to fit inside the larger pack and hold your gear when using the pack as a poncho or blanket. I found this to work OK, but felt it was a little unnecessary since anytime I would plan to take about the pack I would want to be at my final destination where I would be OK just taking out my gear. Although I have only had the pack for a short time and not used it many times I can tell the materials used are high quality and it will last a long time. I will update when I have used it more. 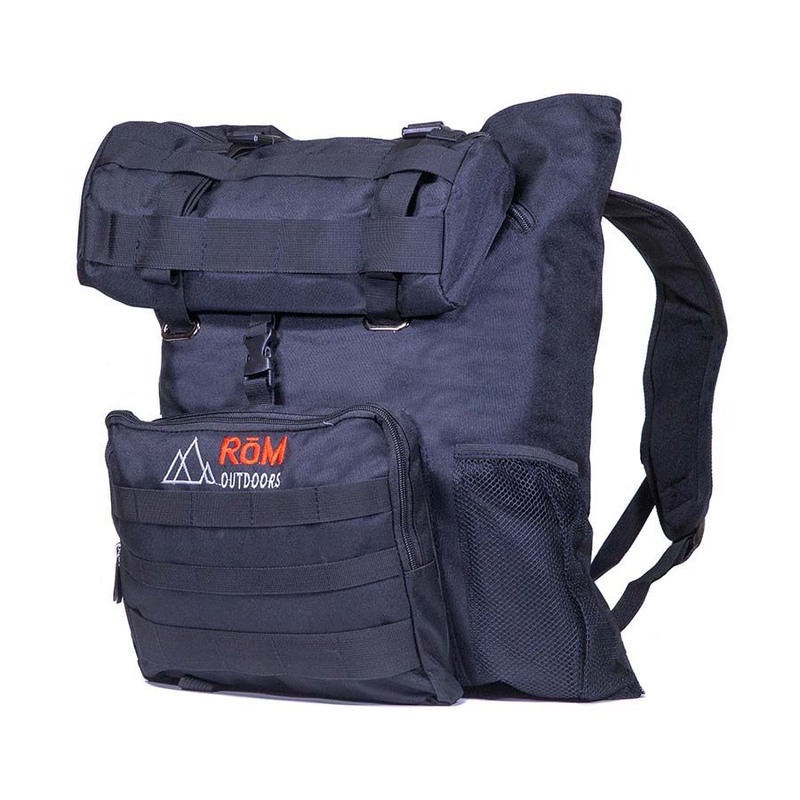 The RōM Outdoors RōM Pack is not available from the stores we monitor.